Generative Crises and the Building of Sociological Futures: Committing Sociology in the Contemporary Academic Terrain? Proclamations that sociology is in a state of crisis have remained a remarkably constant feature of the discipline’s history, to the point of verging upon cliché. 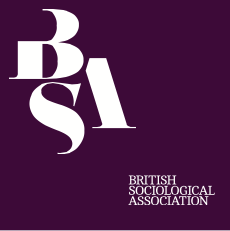 From John Urry at the 1981 BSA annual conference, asking whether sociology may be likened to a ‘parasite’, to John Holmwood’s more recent suggestion of a lack of a clear internal character to the discipline being ‘sociology’s misfortune’ (2010), concerns regarding disciplinary fragmentation have become sociology’s crisis du jour. Yet features of the current academic field, including the intensification of labour, the increased policing of working practices, the perceived reduction of research to ‘REF-able’ outputs, the ‘impact’ agenda, and the undermining of collegiality and precarity which follows from these and increasingly extends far beyond the early stages of academia would now seem to provide evidence of this crisis and warrant the claims of Holmwood, Urry, et al. Indeed, in an academia surfeit with regimes of audit culture (Shore and Wright 1999; Strathern 2000), one may feel that the very foundations of sociological endeavour – our sociological imagination – cannot possibly sit easily within the current terrain. The affective and intellectual discomfort produced by this disjuncture between disciplinary feeling and contemporary academic practices sees sociology very much as the outsider. Where most analyses of the future of academia are pessimistic and sociology’s position within it appears tenuous, this stream plenary is oriented to optimism, promise, and resistance. We question here how this crisis may be generative – how we may use our outsiderness to effect change . In cultivating a sense of ‘productive unease’, might we generate new approaches, critiques and strategies? This panel provides space to discuss how our sociological imagination may be mobilised towards resistance – how might we use this unique mode of thinking to puncture the neoliberalisation of academia? Where we see fragmentation, might we instead see proliferation – of possibilities and of new spaces to carve out and to challenge orthodoxy from within? Might this function as a check against intellectual stagnation? How might we harness the spirit of revolt, dissent, and rebellion to resist the growth of the neoliberal university? How might cultures of competitiveness be displaced by strengthening collegiality within and beyond atomised ‘units of assessment’, to foster global perspectives and solidarities? How might we draw upon these tensions to reinvigorate sociology’s promise, and what are the consequences of doing so? How might we actively build the sociological futures that we wish to inhabit? This panel brings together a range of sociologists, researching from contrasting standpoints and career stages to discuss how being sociological – committing sociology – can bring about the promise of sociological futures, and enable us to stage collective resistance. This short presentation takes issue with the dualism of professionalism and partisanship to argue that sociology as a professional practice derives its meaning from a commitment to egalitarianism and social justice. My brief comments will take issue with weak commitments to diversity in the discipline (both in terms of curriculum and demographics) that do not take into account the broader historical injustices that it is necessary to address if the discipline is to flourish. My comments will address how we rethink the discipline to be more rooted in publics outside of academia. Sociology’s ‘crisis’ is its lack of a foothold and influence outside of the university. I will suggest that the various ‘crises of sociology’ are in part generational, recurring, and not specific to sociology; that there is a need to recognise that those of us with a voice in sociology (as elsewhere) are implicated in its structuring practices; that there is a need to incorporate the energy, collaborative perspectives and critical thinking of forms of sociology which reach beyond the discipline and the academy not just in our research and teaching, but in our contributions to professional practice and conduct of institutions. For all the forces that put pressure on academic sociology (professionalisation, audit, commercialisation, hierarchies, competition, intellectual property) the informational environment we now work in also offers unprecedented possibilities to share and circulate ideas. In my short presentation I want to point to some of these possibilities including the connection between academic sociology and teaching sociology in schools, alt. networks of sociological insight within social media and interest and political movements. Sharing and bootlegging our ideas is another way to think about generating interest in the uses of sociology.